The ultimate must have for the golden state Warriors fan!! 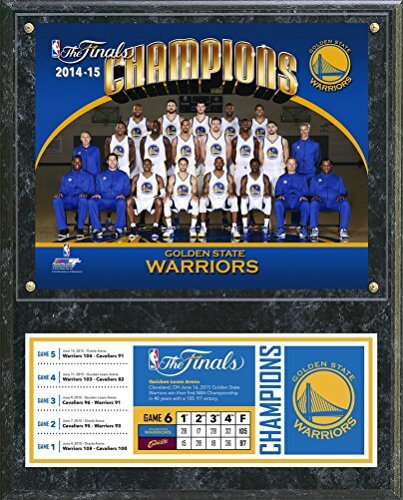 a full color photo of the Warriors team sit-down with overlay and a full color plate with scores from all of the games of the 2015 NBA Finals. Fully licensed by the NBA with official logos and Hologram. Finished black wood plaque that comes ready to hang. Looks great on any home, office or man cave wall. NBA Houston Rockets Chrome Double Ring Neon Clock, 14"